Today’s successful brands all seem to have a number of highly successful characteristics in common. Maybe they’ve positioned themselves as “the first”, maybe they’re focused on being healthy, or being authentic, or maybe they just have a great story. But these brands usually tend to have another attribute in common; they’ve got some money to get started. But sometimes, brands have just the right combination of successful attributes to become booming businesses. SeaSnax, for example, began as a mother-father team who just wanted to give their daughter a better alternative to the unhealthy, high-sodium, corn oil-laden seaweed snacks that were already on the market. According to Entrepreneur, Jin Jun began experimenting in her kitchen and soon had the first snack approved by her seaweed-loving toddler, combining the flavors of seaweed, olive oil, and salt. At that point, Jun and her husband found a manufacturing facility to make the snacks. They maxed out their credit cards to pay for their first orders. "They really thought we were crazy and that we were wasting our time and money," Jun says. It wasn’t easy from the get-go. Jun and her snacks were rejected from every farmer’s market in LA. She was on the phone six hours a day trying to sell the snacks, only sleeping 3 hours a day until she was able to get her snacks on the shelves at a local Whole Foods. Then, Yahoo featured SeaSnax as one of the "10 healthiest snacks" on their homepage. 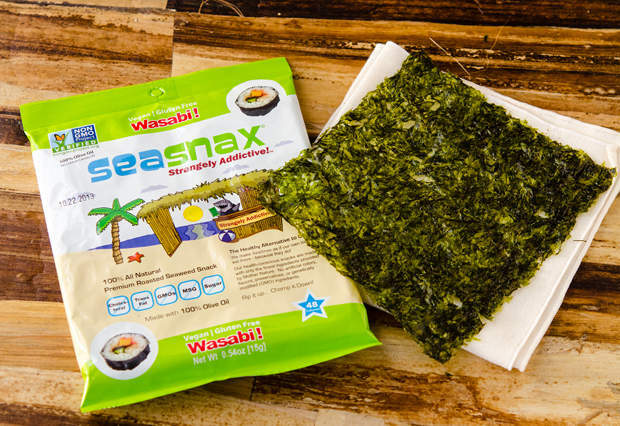 Today, SeaSnax are sold at 6,000 stores around the world and have expanded to include an array of different flavors and items like seaweed flakes and a salad mix. This year, the company is on track to do $10 million in sales. The trick to their success?Authenticity. "It was a combination of sincerity and naivety. We were able to build a very loyal customer following… because I hear time and time again that people can trust us," Jun says. "My daughter sets the bar. If I wouldn't feed it to my daughter, I wouldn't feed it to a customer." SeaSnax doesn't even really have a marketing plan.